Say hello to the Seattle Indies Store! Keen observers of human nature may have noticed that we’ve added a new link to the site: namely, the Seattle Indies Store. Thanks to the heroic efforts of our Patreon supporters, we’ve blown past our first three Patreon goalposts and are inches away from the fourth! 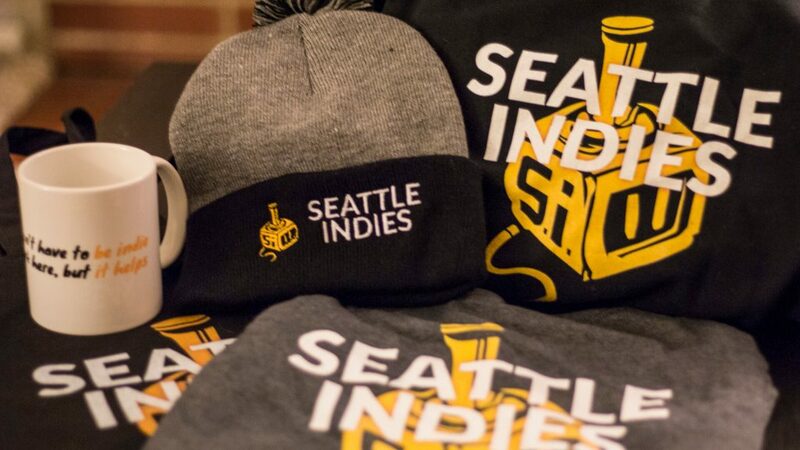 The third goal, which was the web store, is now up and running, and it’s now possible for everyone to proudly represent Seattle Indies on their head, torso, back, while drinking coffee, and while shopping! We’re planning on adding new designs and products over time, and would love your help with that. If you’re a designer or if you have an idea for a cool piece of swag you’d like to buy, shoot us an email! P.S. Got an empty spot on your fridge? Our July Patreon physical swag reward is an awesome 4″ Seattle Indies magnet! 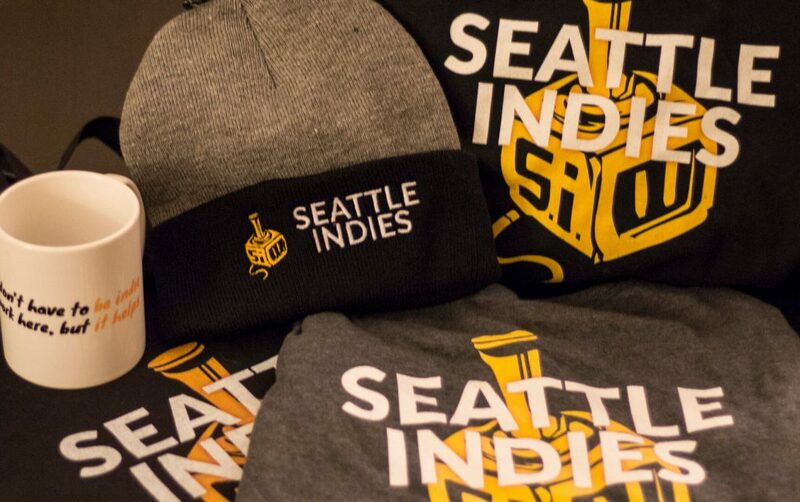 You too could start a Seattle Indies memorabilia collection by pledging on Patreon.